BBC iPlayer iPad app launches in 11 countries | What Hi-Fi? 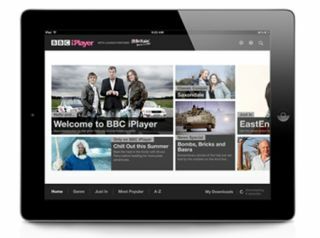 BBC Worldwide today launches its iPlayer iPad app in 11 European countries, with the US, Canada and Australia to follow later this year. There will be a limited amount of free content on the service, supported by pre-roll ads and sponsorship, but it will largely be based on a subscription model. Users will pay €6.99 (£6.14) a month or €49.99 (£44) a year. The 11 launch countries are Austria, Belgium, France, Germany, Italy, Luxembourg, The Republic of Ireland, The Netherlands, Portugal, Spain and Switzerland. Additional features on the international app, not available in the UK, include streaming over 3G networks as well as wi-fi, and the ability to download programmes to an iPad for offline viewing. "We think we have a load of unmet demand for BBC and British content internationally," says BBC.com managing director Luke Bradley-Jones. "This is not a catch-up service: this is a video-on-demand service. We will have content from the last month, but also the best from the catalogue stretching back 50 to 60 years." Examples given include Fawlty Towers, Only Fools and Horses, Sherlock and Doctor Who. Users will be able to search for specific shows or browse genres including comedy and drama, but BBC Worldwide has also hired a team of editors to pull together themed collections around specific shows or special events for the international iPlayer.